Oh, so lovely! 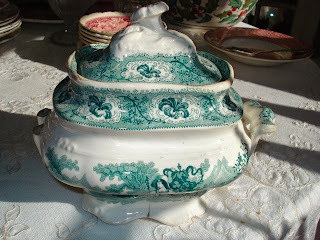 I have the pheasants and some Johnson Bros. Turkey dishes but what wonderful serving pieces and others you have. A beautiful collection. I loved your purple and white transferware all set up in your new hutch; but I must say that I am every bit as much in love with this brown transferware as well. You have really made a beautiful display of all your autumn themed treasures. 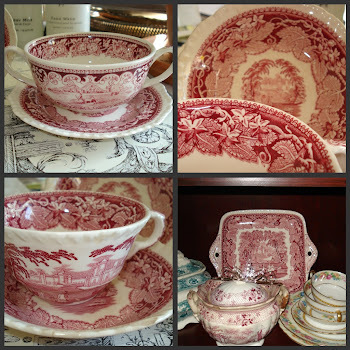 What a lovely display of brown transferware, Janice! You have some very nice pieces. I love the Calico cups. It must be so much fun to shop those thrift and antique shops down there. Our Island has very little to offer. You can keep your snow. Once ours arrives we will be stuck with it until April. Enjoy your weekend! The first snow of the season is always magical. 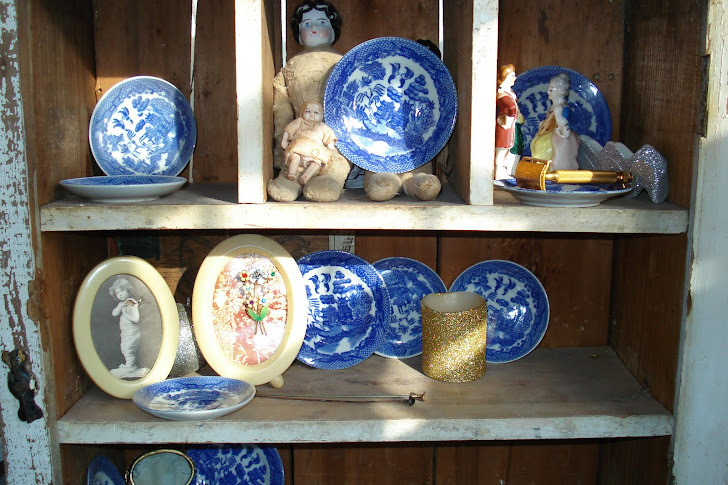 I love your collection of transferware. That soup bowl for $5.00 is a steal of a deal. 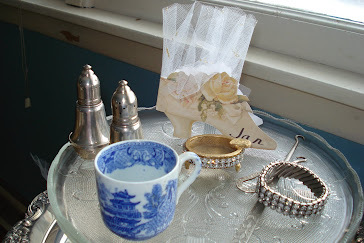 I love brown transferware, Janice! You have a beautiful collection/display. That snow I could live without, but ours is coming, maybe next week. We got rain this time, still no hard freezing temps. 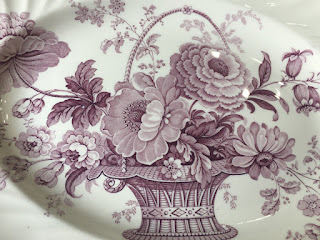 Pretty brown transferware Janice! I like how you displayed it in your new "old" cabinet! Fun, fun!! Is that a pretty biscuit jar I see? The snow was beautiful on the colored leaves on the trees wasn't it?! 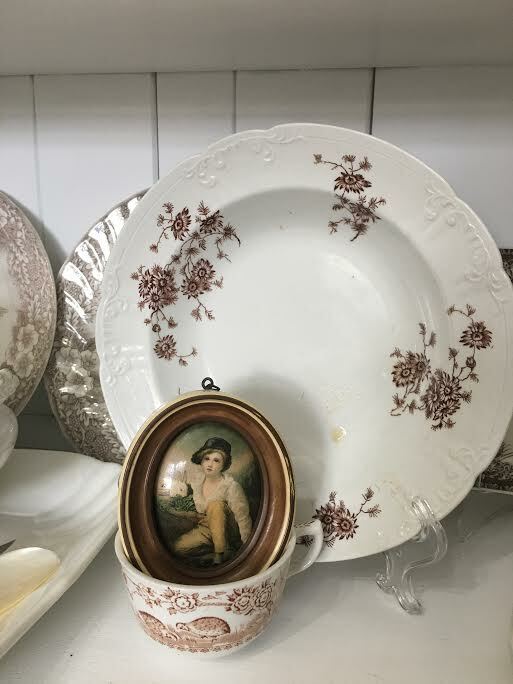 Your cupboard looks fabulous with the brown transferware. So pretty and nostalgic. We got snow too but not that much! I love your collection. 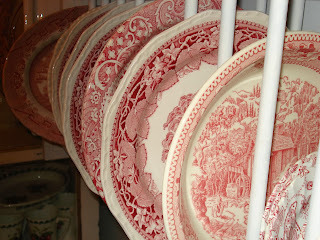 I like brown,red and black transferware. 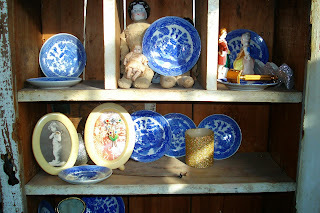 Some of my pieces are antique and some from Home Goods. They don't seem to have as much anymore. Disappointed. You have quite a collection. Mine is much smaller but loved. What a beautiful display! I love mixture of your collection. I have some of the ones with the turkey display. 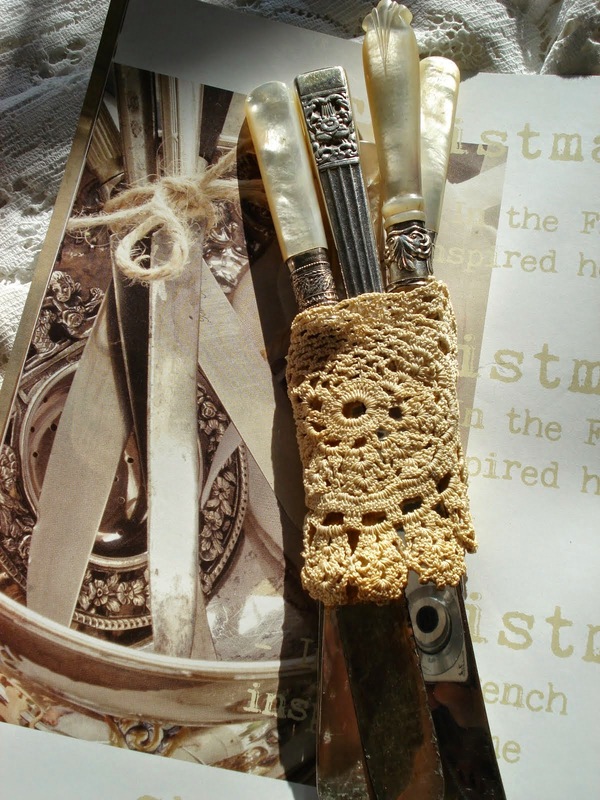 You have a great collection on the brown transferware. I love this! Thanks for sharing at Home Sweet Home! Hi Janice! I just had to pop over and say I love your new hutch and all your beautiful brown transferware! 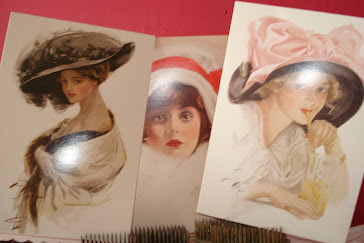 Isn’t it fun to play with our collections! Have a good day! ( our snow is here to stay🤨)! This is so beautiful, Janice! I love all the wonderful pieces you added in and the pops of green...gorgeous!